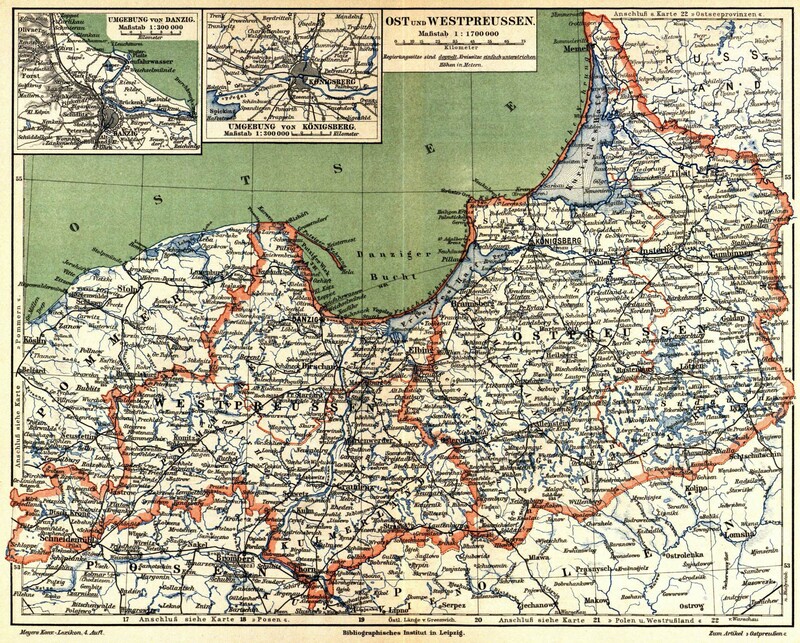 From 1772-1829 and 1878-1945, the Province of East Prussia (Ostpreussen) was a province of the German state of Prussia. Between 1824-1878 there was one Province of Prussia. Although located at extreme NE Germany, East Prussia was the historical center of development of Prussia. In the 13th century, the Teutonic Knights or Teutonic Order (originally known as the Order of the Knights of the Hospital of St. Mary of the Teutons in Jerusalem or Order of the German House of St. Mary in Jerusalem) conquered the region of East Prussia from the pagan Old Prussians (a Baltic tribe related to the Liths or Lithuanians,). Thus Prussia took its name from the Baltic Prussians. Gradually, over the following centuries, the Old Prussians were Germanized, Christianized, and the old Prussian language became extinct. They were a German military religious order founded in 1190-1191, during the siege of Acre in the Third Crusade. They consisted of nobles and took the monastic vows of poverty, chastity, and obedience. East Prussia is now split between Poland and Russia.